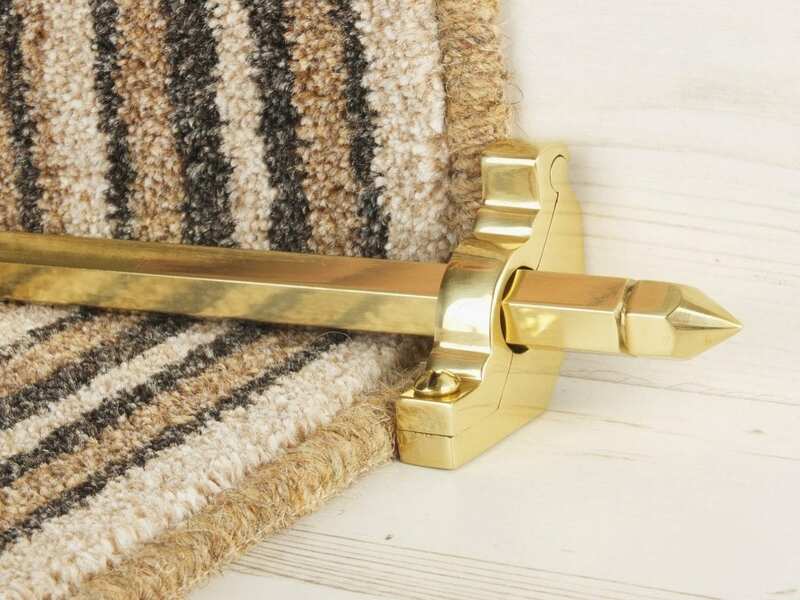 Suitable for fitting on stair runners or fitted carpets (Front Fix or Side Fix) – choose the relevant option when ordering.. 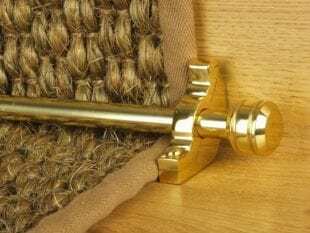 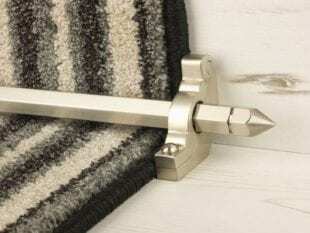 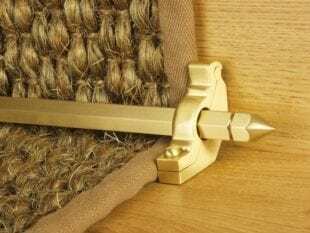 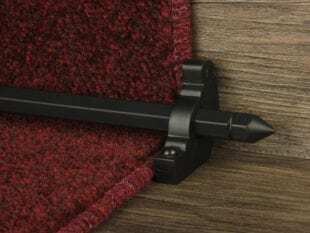 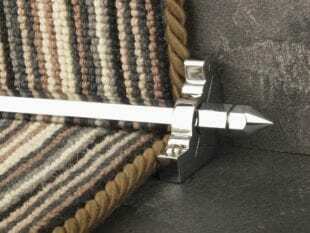 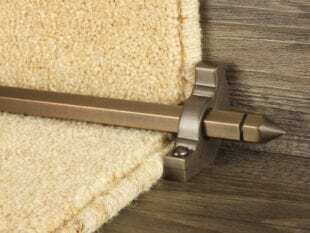 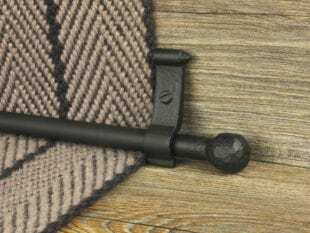 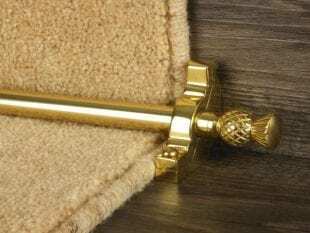 It is important to note that, like most stair runner rods, the Hanover are purely decorative and do not fix the carpet to the stairs; a stair runner must be secured by another means of installation such as gripper. 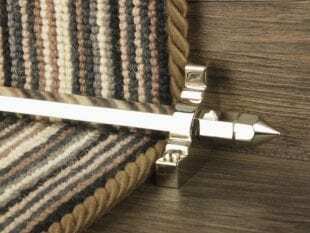 Fitted carpet Side Fix brackets: screw one bracket into the wood side of the staircase before slotting in the supplied rod and then fixing the second bracket. 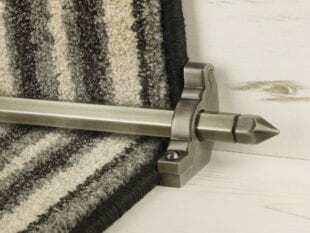 For runner stair carpets: simply add around 100mm (around 4”) to the width of your runner to give you the tip-to-tip measurement of 12mm diameter stair rod to order. 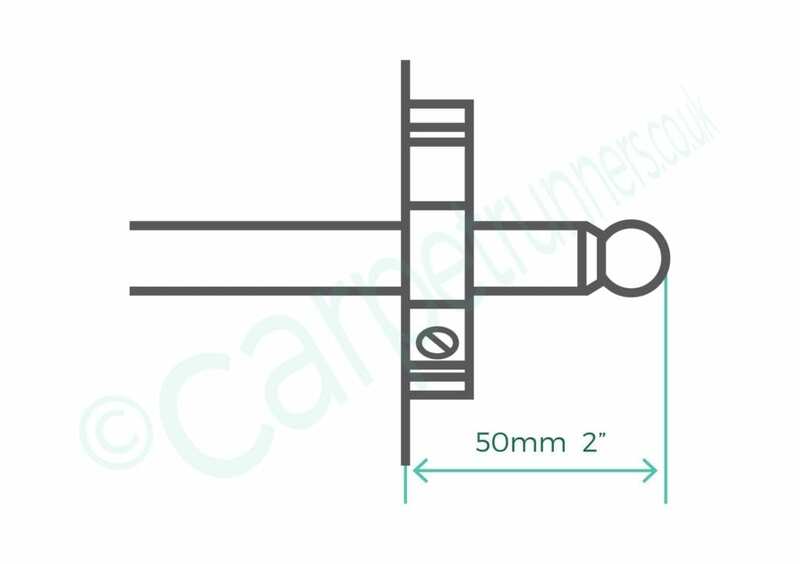 For example: if your runner is 690mm (around 27”) wide then you would order 790mm (around 31”) length 12mm rods. 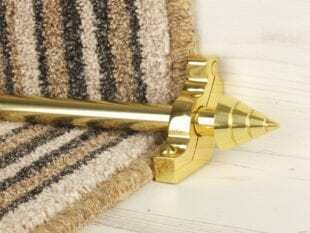 Note: the tip-to-tip measurement you order INCLUDES the finials. 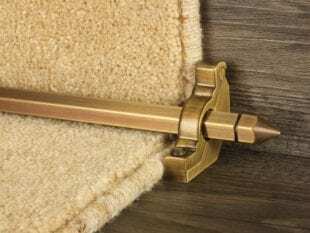 Fitting a carpet rod to the bottom step (hall or landing level) is a popular option, as it helps to create a visually balanced look. 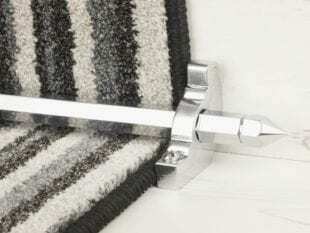 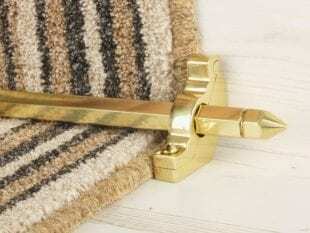 These carpet rods for stairs are protected with a clear lacquer, which prevents the rod finish tarnishing.